Virtual Ability: Save the Date: April 26 Mental Health Symposium- Free and Virtual- you're invited! Save the Date: April 26 Mental Health Symposium- Free and Virtual- you're invited! 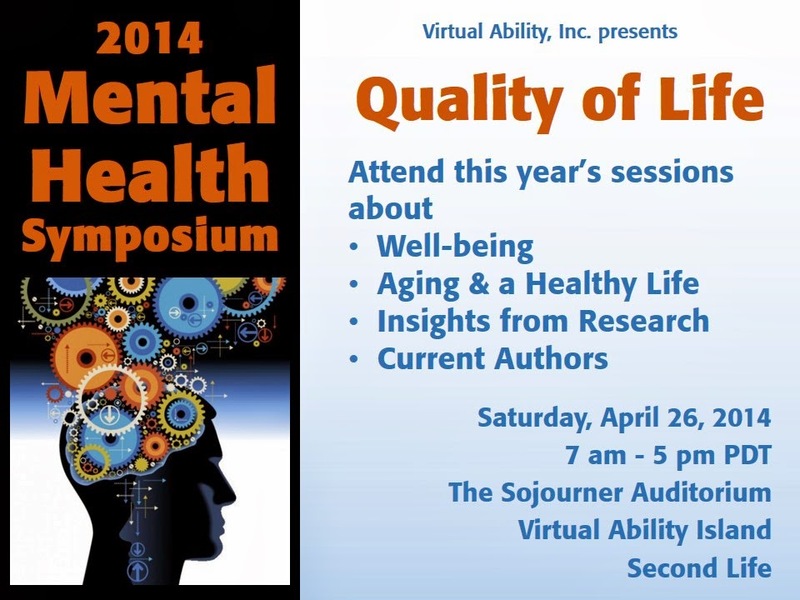 Quality of Life is this year's Symposium theme. Attend this year's sessions about well-being, aging and a healthy life, and more. This symposium offers easy and free access to current authors and current research, plus learning and sharing with colleagues and friends from all over the world. You can attend this virtual conference from the comfort of your own Second Life® viewer! Visit the website to check the current schedule to plan your participation.